Mom, the Intern: May the odds be ever in your favor. Now that the birthday stuff is out of the way, can we please talk about The Hunger Games movie?? Yes. But be warned: this post is probably going to contain spoilers. So if you haven't seen it nor read the books (and you live under a rock), then you might want to click outta here. Unless you're like me and you enjoy spoilers. I actually do! Weird, right? I admit that I had high expectations for this film. Higher than any other book-to-film franchise. Why? The book is almost written like a screenplay, in my opinion. It's very visual -- the readers can see what's happening in their minds as they read. Suzanne Collins did a great job describing her dystopian Panem and bringing it to life on the page -- of course it would translate beautifully to film. The futuristic setting and action-packed plot are way too cool and exciting not to convey well on the screen, especially in the day and age of high-quality, realistic CG technology. The one thing I worried about was all of Katniss's internal dialogue that goes on in the book. How would that work in a movie? I imagined a lot of cheesy voice-over and that kind of had me worried. Alas, every expectation I had for The Hunger Games was met and most were even exceeded. Every worry I had (too much shaky cam? Too violent? Too much cheesy voice-over?) was dispelled. I thought the film was perfectly done. Perfectly. 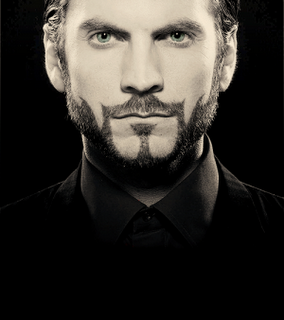 Definitely a satisfied Hunger Games fan here. First: Jennifer Lawrence and Josh Hutcherson (Katniss and Peeta) were brilliant, individually and together. See picture down yonder. Their interactions felt so natural. There was not an entire moment where I cringed and thought, "Oh man, that was totally forced and awkward." Unlike every scene between Bella and Edward, ever. Third: The Capitol and its people was portrayed perfectly. Effie Trinket? 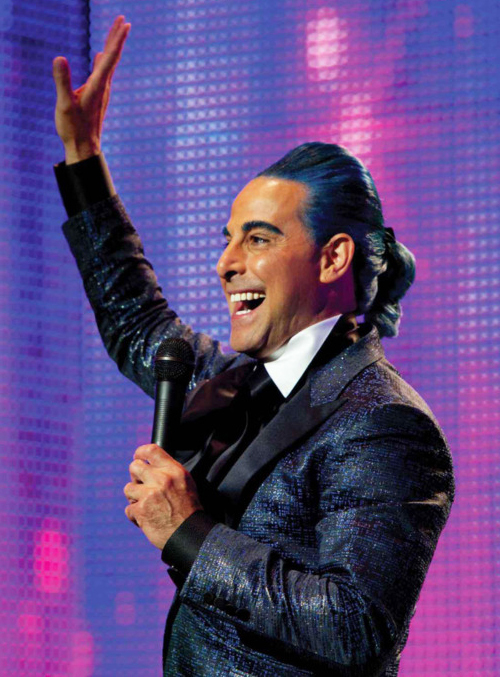 Caesar Flickerman?! Stanley Tucci is the man. And I loved the juxtaposition of the Capitol and District 12. So stark. So true to the novel. 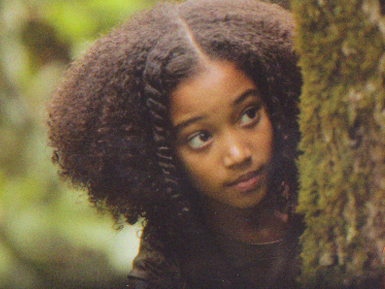 Fourth: Rue. So darling. They definitely hit the mark when they cast her. And I definitely bawled when she SPOILER ALERT!!! was killed. Was it a dark film? Yes, absolutely ... but I didn't think it was all that violent. I know, kids killing kids? How is it NOT?! But you know, that's kind of the premise of the book. The violence was tastefully executed (whoa, pun?) and mostly implied, I thought. I have seen plenty of other PG-13 films that made me shake in my boots with their outright displays of gratuitous violence (X-Men Origins: Wolverine comes to mind). Honestly, I was nervously expecting The Hunger Games to be way scarier than it was, especially in the combat scenes. So I was pleased as punch that it wasn't super-gory or disgusting. I thought the part where SPOILER ALERT!!! the Careers get attacked by the trackerjackers was by FAR more horrific than any of the killing scenes. Still shuddering from that one. However, this movie is definitely rated PG-13 for a reason. So, please don't take your toddler to it so she can disrupt The Cave Scene with her 30 seconds of loud wailing. Yeah, that happened. Still bitter, obviously. But I digress: if you're OK with your kid reading the books, the movie will be fine. That's just my opinion; obviously, you are entitled to yours. I posted on Facebook that I thought The Hunger Games was a better book-to-film adaptation than Harry Potter and my opinion was met with some dissent. Let me explain myself, though. I think HG had the unfair advantage of being a relatively short book, fast-paced book without a ton of backstory and zero plot deviations. Also, it's written in first-person so we only have to follow Katniss's point of view, which probably makes it a lot easier to write a screenplay. Harry Potter is a very intricate, complicated and LONG book series, written from an omniscient point of view, so it's impossible to transfer it to the silver screen without losing some elements in the process. As much as I'd love it, they can't make a seven-hour Harry Potter movie. So, when I say the HG is a better book-to-film adaptation than Harry Potter, I mean exactly that, and I mean only slightly. The Harry Potter books will always be my favorite series. But I do enjoy the Hunger Games series as well and was more than happy with the movie adaptation. Bravo, Gary Ross and Co.
Alright, now it's your turn! Favorite parts? Favorite characters? Things you hated? Things you wish they had done differently? Let's talk! I LOVED the first two books, and now I'm really excited to see the movie! I heard some negative criticism so I was a little skeptical, but you wiped that away! I loved the parts with crane!! the behind the scene in the games. amazing!!! agree josh and jennifers chemistry was so perfect! nothing forced or awkward and I get easily embarrassed at lovey dovey scenes in movies too. 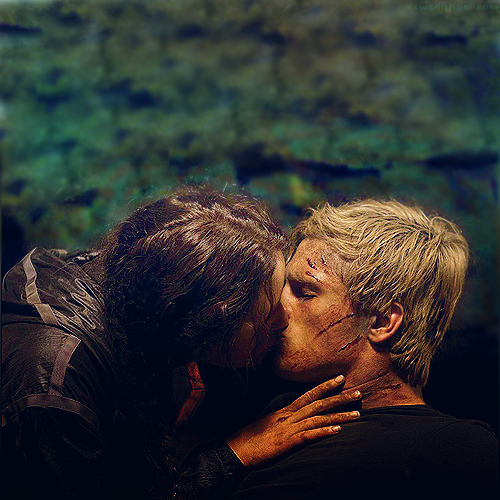 i loved when they were about eat the berries and peeta touches her braid and was just memorizing her face. I got chills, that is true love right there. I need to see it again asap. Elise, I kept having the same thought! I think it was a better book to screen adaptation than Harry Potter too. I love the HP movies but I always felt a little let down after seeing them because of things they added to left out. Hunger Games definitely didn't disappoint. Haha, I'd bet a million dollars you're right, Elise! The only book that has a major cliff hanger is Catching Fire. And that one leaves you screaming NOOOOOO!!!!! At 3am when you finish and then book 3 isn't out yet and you have to wait almost a full year to find out what happens! True Story. I loved the movie! LOVED IT! I'm a little crazy and have already seen it twice and want to see it a few more times! The only thing I wish they would have done was kept the bread gift from District 11 after Rue's death. That made me sad to see that was left out. I also liked the pin being a gift back and forth from Katniss and Prim. I know they left out Madge completely but honestly besides the scene when she gives her the pin she is only ever referenced and never appears as an actual character again in the series. And yes, Stanley Tucci is AMAZING! Love him as an actor. PRobably one of my favorites (which is why I'll never see The Lovely Bones since I want to always love him, and I hated that book anyway) and he did the role perfectly. I completely agree with that ! This was the best book-film adaption that I've ever seen! HP and Twilight were good, but Hunger Games was so close to the book- I loved it! I am so satisfied with the movie. It's such an amazing series, and the movie didn't ruin it. Seriously, i almost want to see the movie again. I love it. I'm so excited to see this movie. I'm a Hunger Games fanatic and have read the books so many times. We're seeing it tonight! It's been torture waiting for it to show in our theater here! I'm with ya all the way! I thought it was really well done, the casting and costuming and setting(s) were terrific...big applause. BUT my only objection was the crazy shaky film work. I got very car sick...looking forward to it on DVD so I can watch again with some motion sickness pills. bahahahah The violence was tastefully executed (whoa, pun?) hahahahah still laughing over that comment! Oh the awesomeness! I loved the film. And the books too no duh! And I CAN NOT believe someone took their child to see it! Speaking of Harry Potter someone did that (took a baby in to the theatre) and it wailed the whole time! So irritating but luckily it wasn't the first time I saw the film. Back to The Hunger Games I think they translated well! Amazingly well. The whole first person narrative was captured brilliantly AND CEASER FLICKERMAN and EFFIE TRINKET!!! LOVED!!! The theme song to Ceasers show (War by Hypnotic Brass Ensenble) purely epic! I listen to it all the time. OH AND WHEN RUE DIED!!!! And Katniss turns to screen and raises her hand in the three fingered salute. CHILLS MAN!